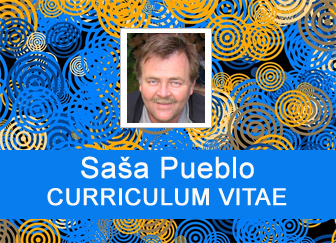 I publish here experiences of my 20 years exploration of Philippine healers. We try to intellectually understand what are those treatments and how to gain Philipines master skills and look at the issue of the treatment by medicine and its knowledge. We try to establish the meditation of Philippines approach. We don´t exclude our need to heal ourselves and others. I believe that reading this contribution will be beginning of new realistic view to Philippines healing with deep respect. I announce to interested persons that is possible distance treatment or consecration and they can practice these treatments. I have been examined philippine healers extremly long time and I am looking for a logical explanation of how their system of the treatment works and how to practice it without the consecration by any philippine healer. I gradually with other healers approached the idea of bones. At the beginning it was dead bones. We added magmatic subsoils on Philippines to these dead bones and also unique features of the volcanic activity. Directly elements of lava and ash have different activity than those from the past which have already exhausted their potential. Again and again, plenty of exercise towards Philippine healers and to their divine worship. The pursuit of absolute belief that every Philippine healer actually operates with own fingers and then he heals wounds. Although from several of videos was obvious that this is more a fiction than a fact. At that time we did not understand that it is important to focus on whether the operation is only an illusion or reality. The illusion as a miracle is actually healing phenomenon. Only when I move away from the examination of the ability to operate with your fingers, I start to respect human bones and what is found in bones. We started talking about examining proton energies in healing operations of Philippine masters. We investigated people who treated Philippine reiki masters and found that they particularly strongly mobilized and magnetized bones and run some energy flows. Today we know that there were specific mitochondrial proton energy in the bones of some people. And the energy penetrates into the body and treats each cell. 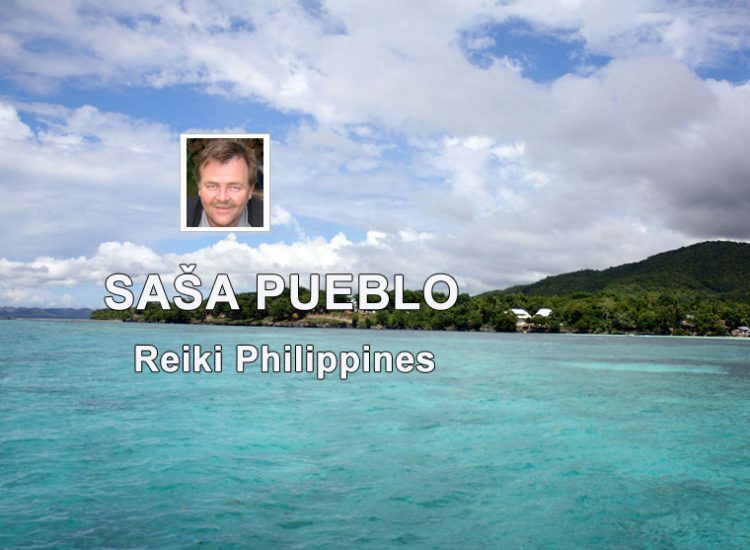 And finally we are at the source of Philippine reiki. 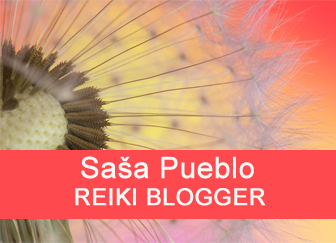 I publish these studies for people who practice reiki and if they have interest they can learn how to run these energies. More detailed survey of bones some Philippine healers prove interesting fact, that they were often damaged by bone tuberculosis and therefore had a strange bone composition, quantity growths, atypical cells and many mitochondrial structures. Bones and extremely much mitochondria Eva and thus the ability to produce atomic energy of various chemical products. Philippine healers are able to activate bones to other people in the treatment and activate all kinds of mitochondria and execute unique remediation procedures at the level of protons. I do not indicate here Philippine healers we examined by oracular techniques and who suffering from such diseases. The better healing capabilities, more bone tuberculosis which affect the body. Things became clearer. It has been possible to start looking concentration exercises, which would open the way to practice such a proton healing. During the training person should be constantly connected on Philippine healers, but also at those whose bones deformed tuberculosis. Belief that witchcraft and magic with herbs and magic practices of our ancestors are real and incredibly help is the foundation treatment by faith. It is necessary to know where to apply it and what in the human body works for. This can act as a placebo effect, it is natural and we do not avoid this technique during the treatment. To believe in the miraculous power of shamanic rituals and symbols is strongly pharmaceuticals thing when you create them in the body from elements or own dreams or dreams of other people. Faith is here suggestive and does not affect in any circumstances. A unique phenomenon of deposition hands on the sick person and treatment by hands. Maser hands warm up the body of the massaged person. This is the phenomenon of ability to treat yourself or another person by arms in the presence or without the presence on the distance. First of all we have in the palm a group of tiny bones and in the medical evolution of man is written about dwarfed organs in the human body that can be mobilized in order to gain special abilities. Tiny bones in the palm of the hand hide potential for such special healing energy. That’s one possibility. Similar serpent power or prana hide tiny bones in the tailbone. These areas can be linked by the concentration and the long-term training. Similar dwarfed organ is around the mouth. This is a beard or growths as in some fish and magnetic potential of the bioenergy. This is one area how to obtain energy potential. Then here are reiki techniques. You start to create in your brain from imaginations as elements fire, air, water, earth and dreams huge amount of spirals and scroll them into your body. You can create also smaller spirals from elements and dreams and you add holotropic breathing technique to this. It consists of the concentration, belief and practice that organs have nose and mouth and breathe as our lungs. The body of the reiki person begins to form hundred of spirals and those you give inside of yourself. You slide them into the belly area and you push your finger on the belly. In this area you activate remains of umbilical cord which connected you to your mother’s placenta during the pregnancy. Also in this area is the amount of dormant neurons from the embryonic period that have to be mobilized. Forming energy connects with energy spirals that are concentrated and energy of this area flowing into tiny hand bones in the palm of each hand. Here is one more procedure of producing children hands and holotropic breathing from elements. There is a huge amount of children hands and their concentration in the area of navel and active neurons of the embryonic development. Then you can move them to own hands and treat yourself or another person. It is thus possible to form a stable rotating objects which can also be directly inserted inside of the person who is treating yourself or link them to various bioenergetic resources as gestative animal female. I have here for you several classical techniques for the development of healing hands. 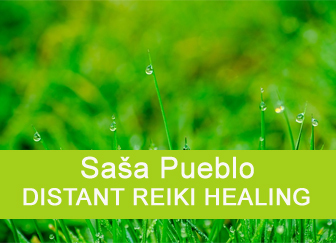 Try to wake up healing forces within Reiki system with them. This is only auxiliary techniques to wake healing hands. 01. Massage one hand with other one to be hot from friction and then attach them to the body of the sick person. 02. Push the thumb on one hand and turn until heat and do the same thing on the other hand. 03. Oscillate in the air with one hand and with the other hand as wings in the air. Reiki and resonances save above the patient’s head. 04. Immerse your hands several times into reasonably hot water or let the whole hand under hot water and then you treat. 05. Hold the hot heating pad and then you put the hand to the body part of the sick person. 06. 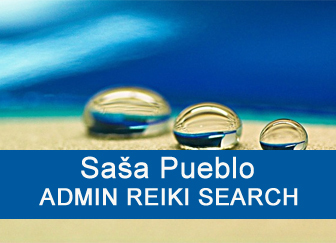 You provide the massage with hands constantly in circles on the certain area of the body and again and again. 07. Cream your hands with massage cream that cause heat or vice versa with the massage cream that causes cold. 08. With low current device TENS bring low current into your hand and you treat ill person. Device is attached to the body. 09. You use psychowalkman and treat the person and put the person into hypnosis. 10. In one hand a strong magnet and in other hand a strong magnet. 11. On one finger ring made of stainless steel and constantly spin with it when treating. 12. Blow the air from the mouth between tuned hands in front of you. 13. In the bottle you have the pendulum, the bottle is stoppered and you train the bioenergy power by the movement of the pendulum in the bottle. 14. Take into one hand the pendulum and by spinning pendulum you walk around the body of the lying person. 15. Between the forefinger and the thumb you have the wire shaped in the font V, walking around the body of the standing person, measure the amount of radiation. 16. Fingers of both hands are holding a piece of natural wood Y-shaped, strongly pushes ends and going through the body of the person. Believe In Miracles sometimes and in some circumstances is good. And when is a good time for us to believe that miracles are possible? Such a condition is associated with the recovery of bones and periosteum directly, but also the bone sponge full of different types of mitochondria. And if you want to concentrate into the bone sponge, this could be well done if you believe that the miracle happens on us. Under these circumstances you get inside the bone sponge and to a group of mitochondrial Eve. This is the mitochondria that control other mitochondrial DNK in other cells of the body. Getting to mitochondrial organelle Eve means to take control what mitochondria DNK do and participate in the whole biochemistry of each cell. Each cell has a nucleus and not only one. The cell nucleus takes care of cell division. But second cell core takes care about the activity of each cell and it is mitochondria DNK. It contains chromosomes and genes in principle covering whole biochemical and physical cell life and concentration skills of the meditation person are directed here. Each cell may include a power plant mitochondria which produces chemicals from the bio energy for the whole cell and the entire human body. And then we have here more mitochondria mainly in the bone sponge, which produce the quantity of chemicals by changing the atomic number within the nucleus of atoms. This is the mitochondria called “Factory”. We go to these types of mitochondria. In the female egg is Ovum mitochondria which is essential for the development of the fertilized ovum and it changes into morula, zygote and embryo. The later from the position in bones manages the construction of the human body. The human body needs to be under bioenergetic tension as every living organism. Completely tiny organs in each cell – mitochondria provide the entire production of the bioenergy. And they are billions and billions. They are tiny and invisible to the human eye. They can be seen only through the electron microscope. They are so miniature power plants that convert chemical substances to the bioenergy. Each mitochondria contains metal elements. Living cells have to produce bioenergy. Billions of mitochondria in the human body produce bioenergy, which fills the body and that which is not used or was already used to certain tasks, flows outside the human body. When any organ in the body is ill or injured, sensible person is able to determine this with the perception of the aura. How is possible that someone is sensible person? For example by training muscles around the ear we can open dwarfed structures of the animal ear and you will build the brain ability to hear bioenergetic stress as substation high voltage by many years of exercises. If you train in your brain and the body early stages of the clinical death, so for such a brain distances would not be crucial and is able to operate at the micro level of 10 to the power of minus 20 meters. Without this capability, it will be extremely difficult to move your mind and its activities on the planet Earth or in the space. We know, where in the human body arises the bioenergy and to realize it around organs and in different body parts, but also around the whole surface of the human body. Bioenergy wraps around the body and this forms what is called in esoteric, but also medical circles aura. 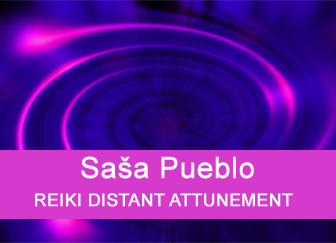 If everything is all right in the body aura is evenly distributed over the whole surface of the body. But if there is something in the body damaged then in aura is little or a lot of bioenergy. And this can be even diagnosed by sensible person. For example: the brain has some damages in the parietal area above ears, we talk about epileptic seizures. Sensible person begins to perceive that the aura around the head is strong milky and on the surface and inside the brain accumulates a certain bioenergy stronger then normal. Even dog of the epileptic person can capture the change of aura and barking to alert his owner to go to the hospital, where is more secure to survive. Of course, the meditation person is healthy person and doesn´t want the seizure brain. But with a sustained training he can induce precursor of epileptic fit by concentration techniques. You force the brain neurons by sustained training to gather and produce in their mitochondria this kind of the bioenergy, the so-called lactic bioenergy. But it would be the only organic dairy liquid around the head and not in the whole aura. But what to do to make this milky aura appeared around the body? Important is bring this state first to bones and then to muscles and other organs, like initial stage of seizure pass to all parts of the body. And here everywhere interconnects the activity of mitochondrial DNK within each cell. You need to get inside the bone and manage mitochondria Adam or Eve which rules all mitochondria of the human body and this is the crucial moment of entry into the proton cells control. There is one more possibility and this is the connection of all mitochondria in each cell, which produce the bioenergy. Status strongly resembles a starting stage of migraine and something that sparks nerves and neurons and other cells in the body. Bridging of mitochondria that produce the bioenergy connect them to act together, not separately in each of the billion cells of the human body. More mitochondria are in bone cells and directly in the bone sponge. They produce bio elements and specific chemicals by change the atomic number of bio elements. We can come to these mitochondria by the concentration and link them to each other. And here you get to the strong magnetized energy that returns to the body strong biomagnetism. Another phenomenon how to strengthen proton bioenergy and proton bio-magnetism is activation of dwarfed organs on the tailbone and there are tiny bones. Their activation produces an even stronger bioenergy, we can talk about Kundalini force or serpent power.